Commercial or realistic movies - What do we need? Recently there was an interesting debate in a private television channel on realistic and commercial format in Tamil films, their merits and demerits. 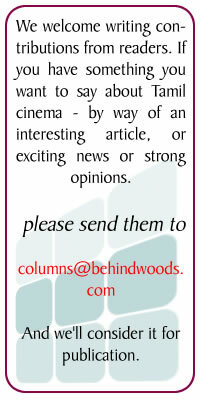 Now, what are commercial and realistic films? There could be varied explanations on this. In India, like all other industries, films and film industries have evolved over a period of time and its technicalities and economics have also taken on a different hue in these years. While this change is on the side which is creating it, there is also a transformation at the viewing end viz the audience. The sensibilities and the preferences of the audience have also changed drastically keeping the industry on their toes to deliver quality products. It is also said that the audiences especially in the south are much more passionate about films and their knowledge on film making is such that it is imperative to respect them with intelligent subjects. And audiences here are ever ready to welcome new concepts and fresh experimentations with alacrity resulting in the positive evolution of this art form. However, cinema being an entertainment medium has one primary objective which is to entertain the audience. Here again, we have different sets of audience- most of them view the medium as an escape route from their daily banalities and want to spend some 150 minutes in a fantasy zone where their worries get obliterated. Although this thread is common to most, there are people who view cinema differently and take the medium on a serious note which results in films in diverse genres like Porkkalam, Nandalala, Angadi Theru, Irumbu Kottai Murattu Singam to name a few. In an Indian scenario, commercial films have a set format- few songs in exotic locales, an inimitable hero who is a complete man (an aravaan!) in all aspects, a beautiful heroine with chaste qualities and virtues that are alleged to be very typical of every Indian woman and the triumph of good over evil and of course the ubiquitous LOVE. Myriad permutations and combinations of this template is what we see in most films. The issues covered are also those which are associated with daily life but with Utopian solutions and ends which give a satisfying high to the audience albeit for a short span. Fair enough! On the other hand, the realistic films take a detour from these aspects and delve on their content in a more relatable, pragmatic and a credible manner. They could be so real and impactful triggering societal changes sometimes. Either ways, it is the creative expression with gratification effects at different levels. Now, the complaint against mainstream commercial films is that they are far removed from reality and in most cases take the audience for granted when sub-standard content gets delivered. As regards realistic films (at least some), it is too realistic that it does not take cinematic liberties at any point which may not go too well now and then. However what most of the audience would prefer is a middle cinema or a via media which will amalgamate the energy and entertainment of a mainstream film without its formulaic surplus but with the sensitivity of a realistic film sans its overindulgences of artiness. With the theatrical movie viewing experience in the cities escalating steadily, the apparent way to bring all types of audience to the theatre is to provide films which will make both the parties- the maker and the audience- happy and content on all counts. The business of cinema has changed to such an extent that a mere three weeks at the turnstiles itself is a humongous feat these days. Hence to deliver a product that would completely fasten the audiences to their seats from the start till the final credits and which is completely worth the money they pay is the need of the times. Now that we have completed 2010 which boasts of a record 150 Tamil releases, my wish for 2011 is that the creative minds of the industry would churn out content in all genres and keep the viewers entertained, elevated and in the process be entertained and elevated for after all the audiences have the last laugh to make everyone (involved) laugh! 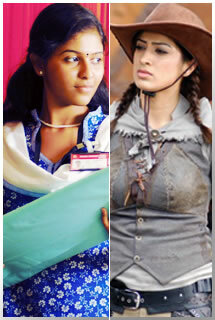 Is Tamil cinema in safe hands? Blatant vulgarity or conservative ? Quarter Cutting: What Shiva did that Vijay and Surya didn’t? The booming voice that goes unheard! Second marriages – full stop or a comma? If Aamir had played fair, would Asin have cried foul? Slumdog Millionaire – Unentertaining, Laughable and Annoying!